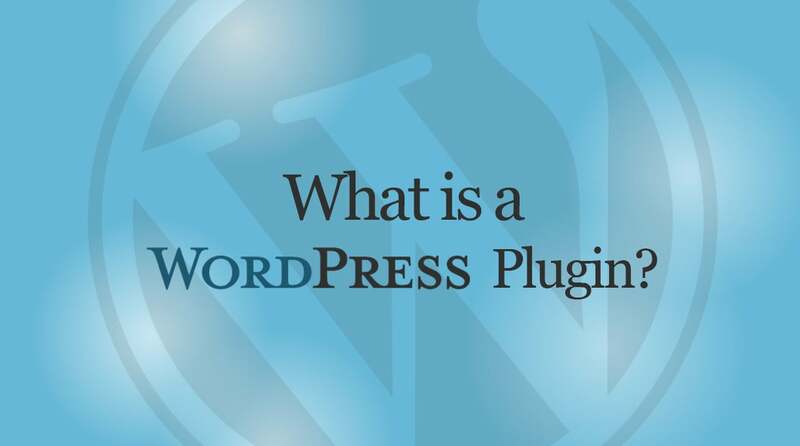 What Is A WordPress Plugin? & How To Install It? Have you installed WordPress on your new hosting account? Now you should now that how to install a WordPress plugin? I think you know this because it is very simple but there are many things which you need to know. WordPress Plugins are the mini pieces of the software which are the power of your WordPress site. It increases the function of the site. and allow admin to control their WordPress site more easily. WordPress plugins are written in the PHP programming language and integrate seamlessly with WordPress. Every Plugin has its own features and set of work or responsibilities. Almost 80% WordPress user don’t know coding so Plugins are very helpful for them. Plugins can do any task you want to do without coding. There are tons of plugins are available in the WordPress Plugin directory. Every single plugin has its own features. Some plugins are free and some are paid. As an Admin, you have full control of the plugins which installed on your WordPress site. You can Install/Uninstall plugins and change the settings. But the important point which I like to cover is if you are using WordPress.com so you can not use plugins on your site. Plugins are only for WordPress.org (Self-hosted). Installing a WordPress Plugin is not a complicated task even beginners user can also install a Plugin easily because WordPress Interface is very easy to- understand even if you are visiting the first time. But they don’t know all methods for installing WordPress Plugins. There are three methods to Install a WordPress Plugin. And first two are simple and the for the last one you have to take care. This is the first and easiest way to Install a WordPress Plugin. An admin can easily install plugin by Log in to their WordPress Admin Panel and then click on Plugins>Add New>Search in Search plugins bar with the plugin name of functionality. Now you can see the search result on the screen so click on the install button of which plugin you want to install. wait for some time WordPress will install the plugin for you when this process will be done then you can see the Activate Button on the Screen simply click on Activate Button. Wait for some time then you will see a message which saying Plugin successfully Installed. So It’s Done. This is another easiest way to install the WordPress Plugin. First, you need to go to WordPress Plugin directory by clicking the link. You are able to see a Search Box you can search a Plugin by its name or function/feature. I have searched for social media share button for an example. Fill the box and press enter. Wait some time then you can see the results which are showing some plugins. Select a plugin which you want to download and click on it. The Plugin page will open now you can see a download button click on it then the plugin will start Downloading. The plugin is in zip format you don’t need to worry because we need it in the same format. Note: Always take care of the details of the plugin before downloading or installing it. Details like Version, Last Updated, Active Installations etc. these are very important to know before Downloading. Now you have the Zip file for that plugin. Log in to your WordPress Admin Panel>Plugins>Add New>Upload Plugin. As shown in below image. Now you can see the next screen which is showing a button for Choose File. You can also drag your plugin file and drop on the page or you can click on Choose File button then immediately a screen will open it is your file explorer select your plugin and click open (or press enter) you can see the name of the file on the screen click on install. The installation will take some time after successful installation of the plugin WordPress will show a Confirmation Screen that Plugin is successfully downloaded. Then you need to click on activate to make plugin live the site. This is done. Now We are moving to the last method of installing a WordPress plugin. Most of the beginners don’t know that we can install a plugin by FTP. some knows but they are thinking that this is very complicated method. they think that because they never use FTP or cannot use FTP effectively. But trust me this is another simplest method to install WordPress Plugin. You only need to connect you FTP client like FileZilla to your site. If you don’t have FTP details on your site or don’t know how to connect to the site please take contact to your Hosting Provider. You can create an FTP account for your site by yourself if you know how to create. If you know your FTP details so fill it as shown in the image. In the First box enter Host then Username, Password, Port then click on Quick connect. It will connect if you filled details correctly. If you connected to your site successfully so then you can see site’s files in the remote site field. Now download a plugin from WordPress Plugin Directory. Go to FileZilla which is connect with your WordPress Site then the path /public_html/wp-content/plugins and upload Plugin from the left side (local site) by right click then upload. After uploading the plugin file, You need to go to your WordPress Admin Panel and log in it as Admin. Then Plugins>Installed Plugins>Search Your plugin that you installed and click activate button to activate the plugin. Now its done you have installed your plugin successfully. As I’ve explained all three methods are easy to use you can choose any of these which you like most. and easy to use for you. We are writing post on this. You will br get the post after 2 days. this is very helpful to me because I am WordPress developer.